Yesterday at MADE HQ we were discussing airline slogans, what do you think is the best ever? 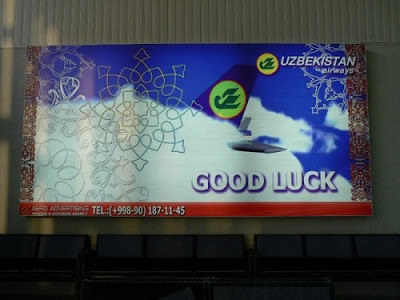 Uzbekistan have a good one...let us know your thoughts or your own slogan we might send you a copy of our latest Mind Tonic Newspaper for the winner. Your Palace in the Sky. Best slogan for airline which attracts passengers is cheap flights from anywhere to every where.